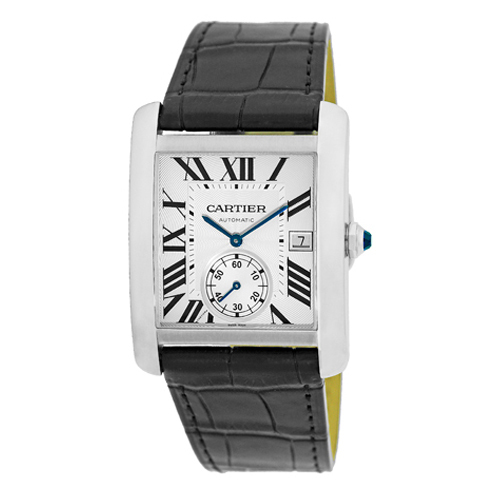 Cartier is a very popular women’s watch brand; upon its debut, the Maison’s signature Ballon Bleu quickly became a best-seller and standout style among female fans—this in addition to the iconic Tank and Panthere watches which are longstanding fan-favorites. However, we’re briefly pushing Cartier’s women’s watches out of the spotlight to recognize Cartier for its impeccably-designed men’s watches. 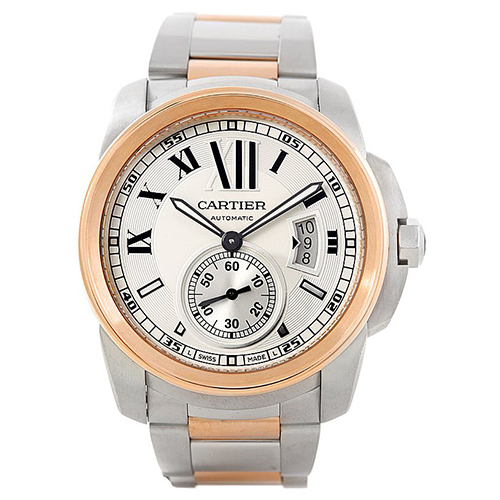 Here we round up the five best Cartier men’s watch collections! 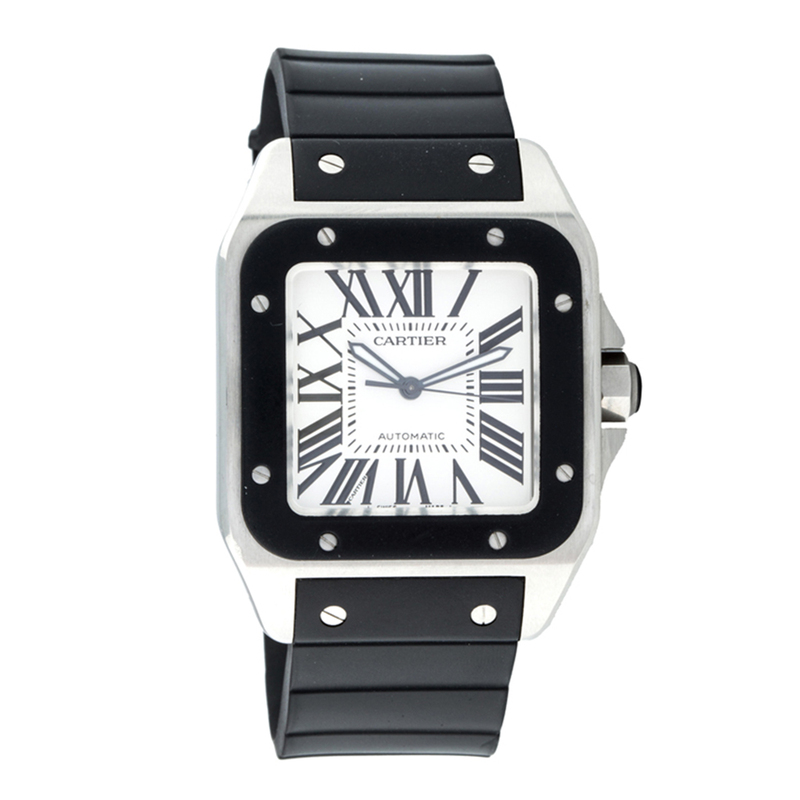 Designed as a rule breaker of sorts, the Santos de Cartier collection of cushion-cornered square watches takes its inspiration from the first wristwatch ever created by the brand. In the early 1900s in Paris, Louis-Francois Cartier was friends with the well-known Alberto Santos Dumont, who famously flew his dirigible around the Eiffel Tower in 1901. Santos Dumont complained to Cartier that it was difficult to take his pocket-watch out to check the time while maneuvering the airplane’s controls. 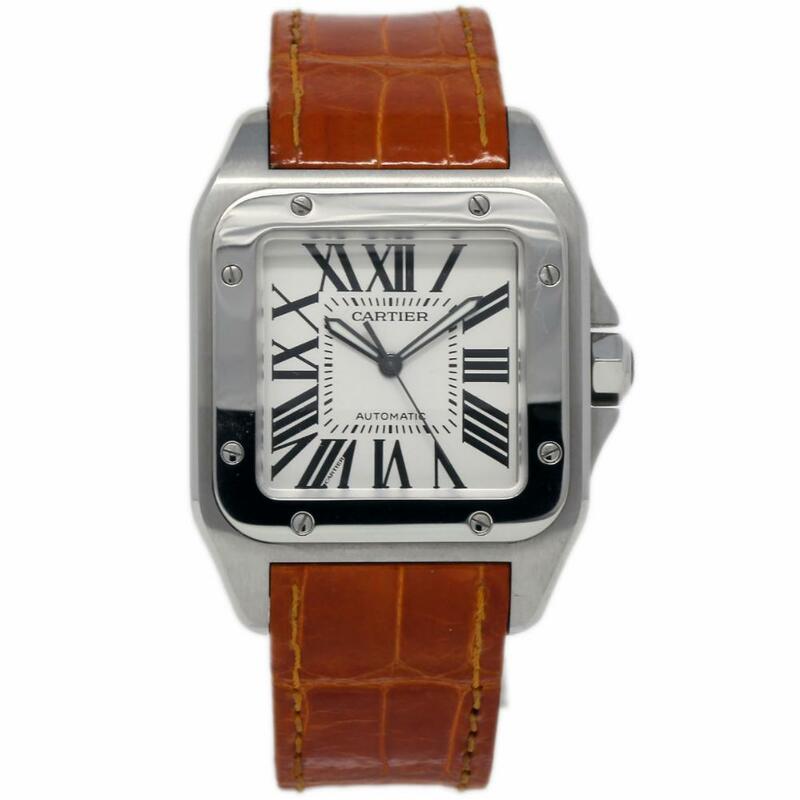 In 1904, Louis Cartier created a wristwatch for his friend, dubbed the Santos, naturally, and was serially produced starting in 1911. Today, the recently redesigned Santos watches, with visible screws on the bezel, have become a signature statement for discerning men. 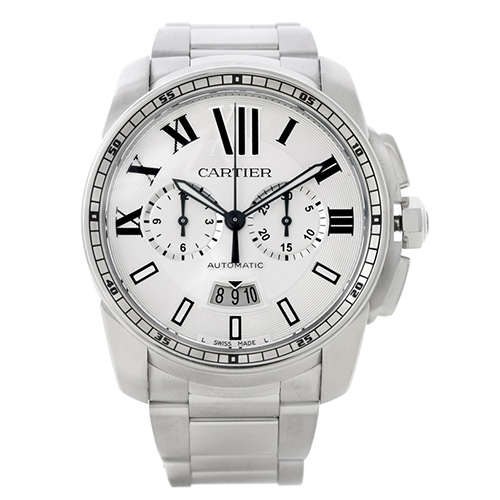 The ultimate fan-favorite is the large Santos de Cartier stainless steel bracelet version with automatic movement and white dial with black Roman numerals. First unveiled to the world in 2016, the Drive De Cartier collection is designed for those who enjoy a sportier look on the wrist. Inspired by the gauges of vintage cars with an unusual case shape that borders on round and cushion, the Drive de Cartier watches run the gamut from simple two-hand watches to those featuring a large date, retrograde second time zone and day night indicator. 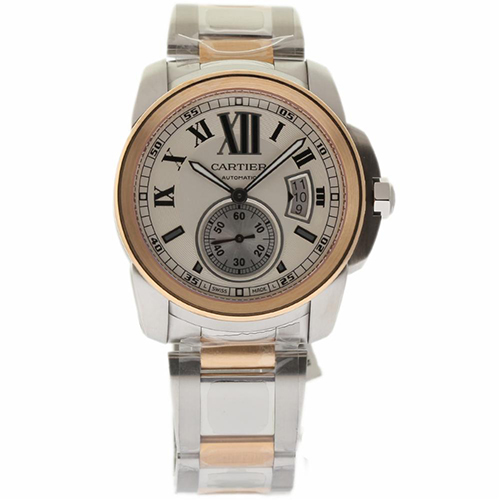 Among the diverse Drive de Cartier men’s collection, one stands out in particular: the 18-karat rose gold model with Roman numerals, guilloche dial, subseconds hand at 6:00 and date indication at 3:00. 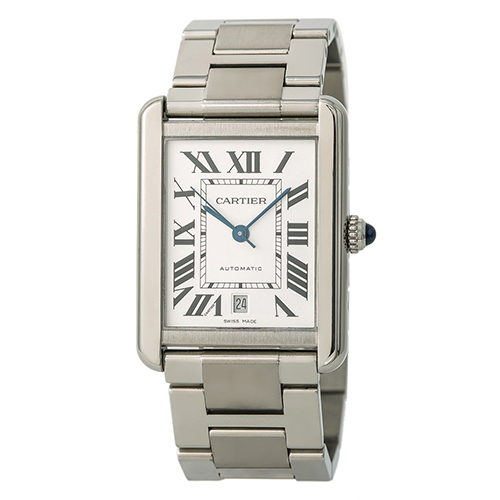 Classic and elegant, the Cartier Tank design began as a square watch inspired by the big tanks of the First World War in 1919. 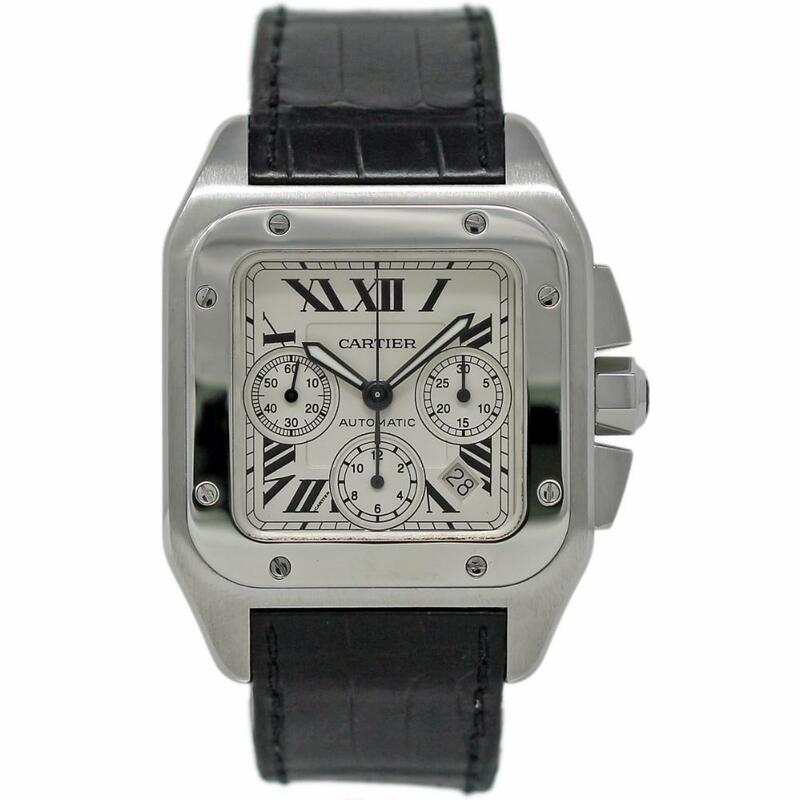 The Tank has enjoyed many iterations over the years, including the elongated rectangular Tank Americaine and the more classic Tank Louis Cartier series with some small complications built in. 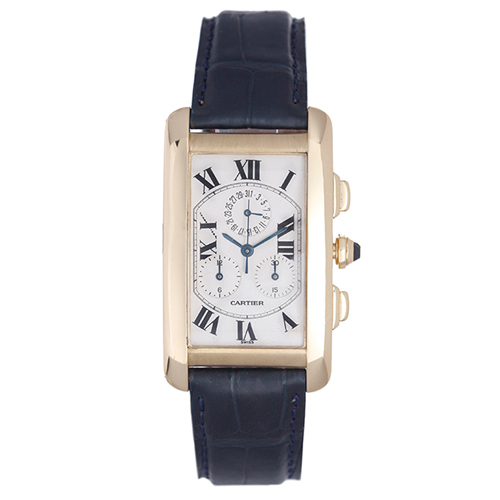 Fans are particularly drawn to the classic Tank Louis Cartier in rose gold or steel with white dial. This classic round case shape comes to life as a platform for Cartier to demonstrate its watchmaking expertise in the complicated realms. 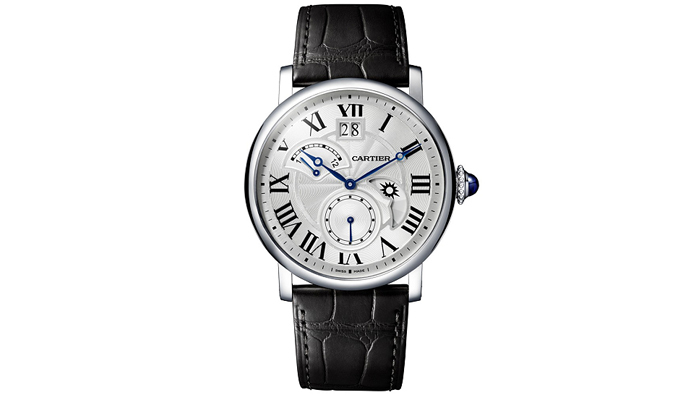 With predominantly 40mm and 42mm sizes for men in this series, the brand unveils the Rotonde de Cartier Chronograph, as well as the Mysterious Hour watch with hands seeming to float in space on one side of the dial. In larger 43.5mm and 47mm sizes, the haute horology versions, such as the Earth and Moon watch and the Skeleton captivate collectors. If you are a lover of sports (especially water sports) this is the collection that may have the most appeal. 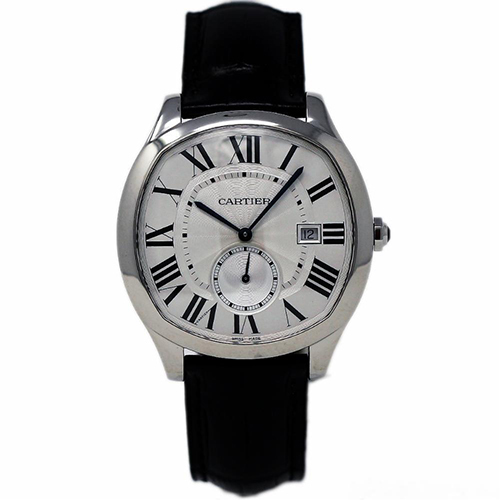 The Caliber de Cartier line is a great choice thanks to the variety of models that include chronographs and even dive watches.